When attempting to explain what Pet Galaxy is all about, it is easy to succumb to clichés such as “we are different” or “we really love pets”. Most people in this industry would naturally describe themselves and their business that way. Yet if you tour many of these “luxury boarding” or “premium” pet resorts, you all too often find the same old thing; dogs trapped inside their sleeping quarters for days or even weeks. Even upscale resorts that advertise “outdoor play yards”, often forget to mention that the size of their play yards really is too small to allow for much playing – let alone running. When designing the ultimate pet resort from a dog’s perspective, we need to remember that most dogs have lots of energy that they need an outlet for. This is known as “predatory energy”, and as most dog owners know all too well; if Fido doesn’t get his walk or playtime when he expects it, he will let you know. The other thing to keep in mind when designing the ultimate pet resort from a dog’s perspective is that canines have these big noses which they love to play detective with. When dogs see a bush or a tree, they don’t admire its beauty – they sniff it to get a history of what other animals and dogs have visited that place before. Pet Galaxy is all about providing the ultimate vacation for your pets – not simply from a human perspective, but from your furry friend’s own perspective. That’s why we are located on six acres with multiple play yards – the largest of which is one acre. This is also why we don't cover our play yards with manmade so called “K9 Grass”, which is no more than an outdoor plastic carpet that has been painted green to resemble grass. 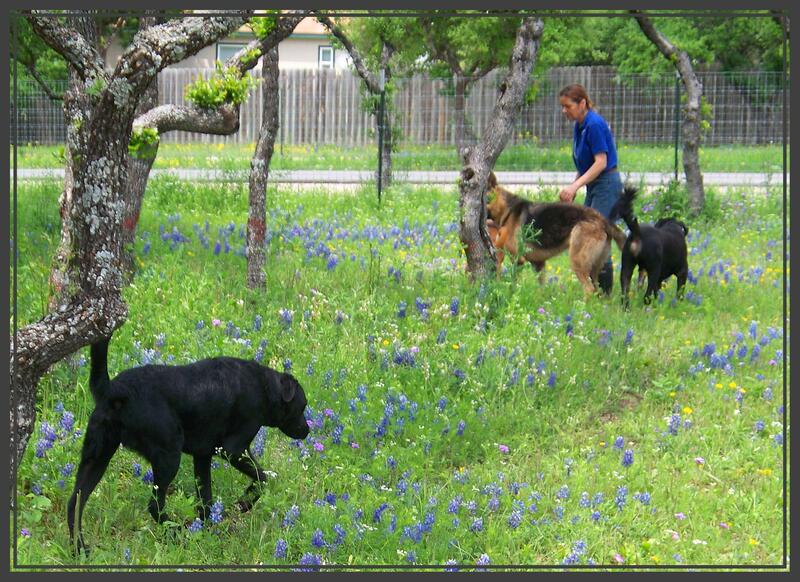 Our outdoor play yards are not even covered by a manmade lawn – because a manicured lawn can be really boring for a four legged detective, similar to placing a five year old child in an empty room and telling him to enjoy himself. Our outdoor play yards feature natural ground cover, lots of oak trees that serve both as shade and as home for local squirrels, in ground ponds and pools for cooling down on hot summer days, and lots of interesting places to sniff and investigate every day. 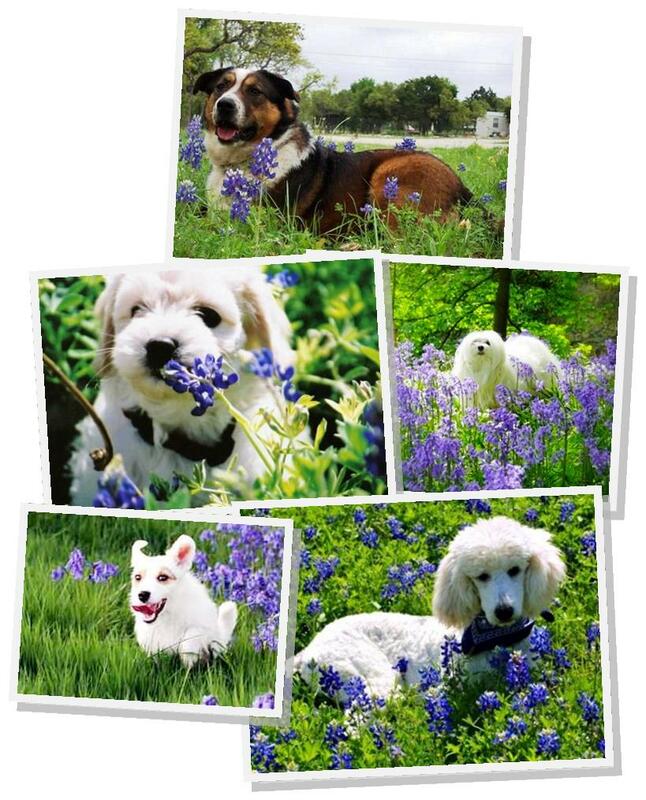 We naturally also realize that some pet owners prefer to have their pets play inside instead. For these pets we feature an indoor activity room full of squeaky toys, comfy couches, a fireplace and a large flat screen TV. All activities and play areas are supervised by our trained staff at all times. But don’t just take our word for how wonderful your best friend will think we are. Come take a tour yourself and see with your own eyes why we are so proud of our resort. After all, your furry friend is counting on you to make the right decision for him or her. Come find out for yourself what so many of our regular clients have already witnessed – that as soon as they turn off the highway to our driveway, their dog’s tail starts wagging. Please note: The reviews below that are entitled "From Google Placepage" are all copied from Pet Galaxy's placepage in Google. The reviews are un-edited and displayed exactly as submitted to Google by each individual customer. We volunteer at a local animal shelter. We had adopted out a little border collie puppy to a nice family. Six months later they had to return the him due to change in circumstances. Instead of a nice, well-adjusted 9 month puppy, we had an out of control, nipping, very afraid of people, guarding his food and water, over-excited kind of border collie. We were much at wits end cause we knew our AJ needed more help than we could possibly give. We were so fortunate to have Frank work with us. AJ was enrolled in the Lodge and Learn program. He stayed there for 4 weeks and what a world those 4 weeks made. And while he was there - a potential adoptor entered the picture! Just last weekend we all saw AJ for the first time and couldn't believe the change. The adoptor was so impressed as were we. AJ went to a new home and a new beginning because of Frank and Lyn's efforts. And what I love the most about Pet Galaxy is not that Frank can help the dogs but he also helps the owners. He explained to us the training and showed what AJ learned and then walked us thru the steps. He provided us a humorous insite into the way a dog's think which I believe every person who owns or plans to own a dog should hear. We are so happy with the results that we are in the process of getting more funds to help us engage Frank's help with some of our other dogs waiting to be adopted. Thanks again! I have a Female Chesapeake Bay Retriever who is almost a year and half. Needless to say she is very high energy and would not listen to us. My husband and I took her to Pet Galaxy for dog training or as my son liked to say "Doggy School" :) This has been one of the best things that we could have done for her. Frank (the trainer/owner) is truly a dog whisperer. He has trained her to do so many things. She stayed for 10 days and Wow!! What a difference. She is a completely different dog. I mean for the better different. The staff is super nice there as well. I have already told 3 of my friends about Pet Galaxy and hope they follow through. Pet Galaxy gets Two thumbs up from our family. We rescued a 6-month-old English Pointer that had been dumped. He came to us with all sorts of issues, mostly that he was deathly afraid of people he didn't know, and any unfamiliar situation. He was also dog aggressive, and he had bitten two men on our property within a 6-month period. He also attacked and almost killed our male chow chow mix. We were at wit's end as to what to do with him, and after observing Frank work with several dogs, AND after seeing the end result of some of the dogs, I decided to sign up Cooter for Pet Galaxy's "Lodge and Learn" training program and see what Frank could do with him. (We had considered euthanasia at one point because Cooter was so out-of-control.) Cooter stayed at Pet Galaxy and Frank worked with him for one month. My heart swells with pride today to announce that my once aggressive, fearful, boy now walks like an ANGEL on the leash, behaves like a perfect gentleman in public, and now greets visitors to our house with a soft, melodic howl instead of an aggressive, snarling bark. I truly believe Frank works miracles with dogs, EVEN the most aggressive, difficult cases. I could not recommend Frank or Pet Galaxy any more highly. They saved my boy's life, and I would not hesitate to take any dog back to them again for boarding/playcare, or training! Frank and Lynn (the owners) are the BEST, and truly love and care for every single dog (or cat!) that enters their establishment. Two enthusiastic thumbs up!! Great place to have your cats stay. Separate cat room with lots of space in the cages, kind of cool with many levels for them to explore. I like that my cat can get out and look out the windows during the day. Just one tiny complaint: I wish they would be open on Sundays too, at least for pickups and dropoffs. Judy, thank you for the nice words about our cat lodging. Just an FYI regarding Sunday open: We actually do offer an after hours call-out service which is available 24x7x365 for pickups and drop-offs. While there is a small fee for this service, it does provide total flexibility for you - not only on Sundays, but on any day you may for example arrive home on a late flight - or depart extra early for a trip, etc. In addition to the call-out service, we also offer a pickup and delivery service, so your pet can be waiting for you at home when you arrive. No need for that extra drive to our campus to pick up at all. If you have any additional questions regarding any of these services, please do give us a call. My husband Bryant and I had the good fortune to have our dog, Taffy, in personal training with you for 3 weeks in May. Thank you, thank you, Frank for training Taffy in such a way that she is now the pet dog we always wanted and had hoped she would be. You have made a huge difference in our Taffy's life and ours as well. Taffy's disposition has improved DRAMATICALLY. Before your training she was frenetic, overactive, hyper, demanding and was just generally "high strung". After training she is now MUCH calmer, is non-demanding, appears to be much less stressed and seems happier, more content. We strongly believe your training techniques and philosophy of showing your pet that "you're the boss...they don't have to be in charge anymore guessing as to what the right thing to do is" has produced this calmness in Taffy that was not present prior to your training. Also, her response to commands is nothing short of miraculous and thanks to your training techniques we have been able to cut down drastically on the amount of treats Taffy gets for good behavior and have, as you instructed, substituted verbal praise. It really works. We appreciate not only the time and patience you showed to Taffy, our precious pet, but also the time you spent with us teaching us to be better "bosses". We are grateful to you and thank you so much for the difference you have made. We could not be more pleased with the service oriented environment Pet Galaxy has provided us and a 16-month-old, eighty pound mix breed named Molly. If Molly could talk, she would tell you that the care she receives from Pet Galaxy is the best. Molly is a regular for boarding, training and play days and she cannot get out of the car fast enough when we arrive. She charges into the office to greet owners Lynn and Frank and any other staff in her path. Frank and Lynn have created a pet resort that offers expertise in training programs, safe and comfortable boarding facilities and the best play times for your pet. Their professional integrity is evident in all aspects of their services. They care as much as about your pet as you do, and we see the remarkable results of Molly's training program every day. Mike and I were going to try several kennels before deciding on a final, all-the-time place, but the dogs seem so happy so we're staying with Pet Galaxy. Keep up the good work! Ratings (1-5, where 1=poor, 5=excellent): Overall visit: 5, Staff friendliness: 5, Grooming: 5, Did Pet Galaxy meet your expectations: 5.